Common Lore will be performed at Garstang library in October. A new theatre show commissioned by Spot On Lancashire will see libraries bring a modern take on old fairy tales this month. ‘Common Lore’ by Stute Theatre will visit Garstang library as part of a national tour. The play is inspired by Angela Carter’s Book of Fairy Tales, and is the result of a year-long process of script development following interviews with library reading hacks and Lancashire’s library apprentices. The show will take place at Garstang Library on Friday, October 19 at 6.30pm. Tickets are available directly from the venues or by calling 01254 660360. 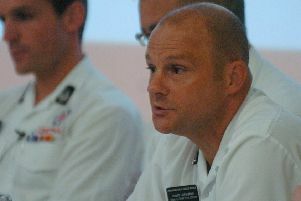 More information, including booking, is available at www.spotonlancashire.co.uk.